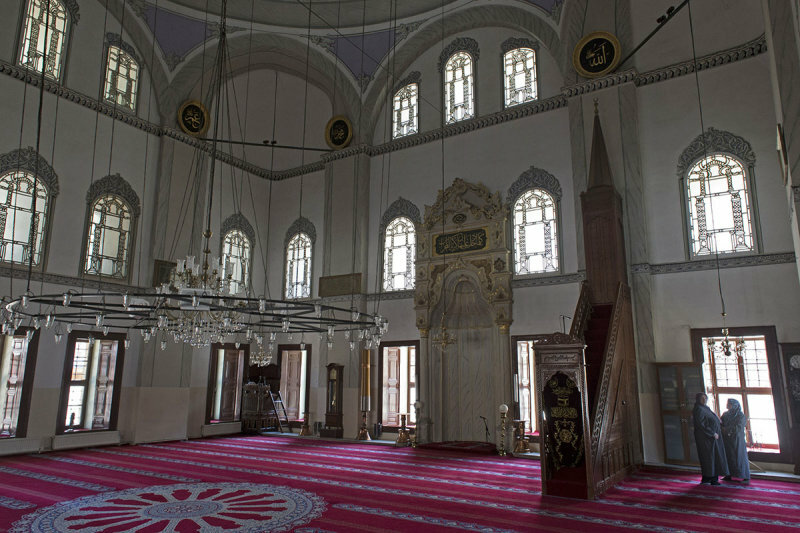 On the picture: The congregation hall, with the mihrab’ (prayer niche, which indicates the direction of Mecca) and the ‘minber’ (pulpit where the imam/prayer leader stands to deliver sermons). The room is 15,20 x 15,20 m large. The complete interior is executed in 19th century late-Ottoman ‘Turkish Baroque’ style, which was influenced by European Neo-Classicism (and more specifically here by the French ‘Nouvel Empire’ style).